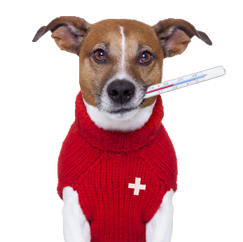 While we hope you or your pet is never in need of emergency services - We understand that some issues arise suddenly and need immediate care. If you have an emergency during our regular office hours - please come to our clinic immediately - If you can, please call ahead so we can better prepare for your arrival. 3803 South Sherwood Forest Blvd.